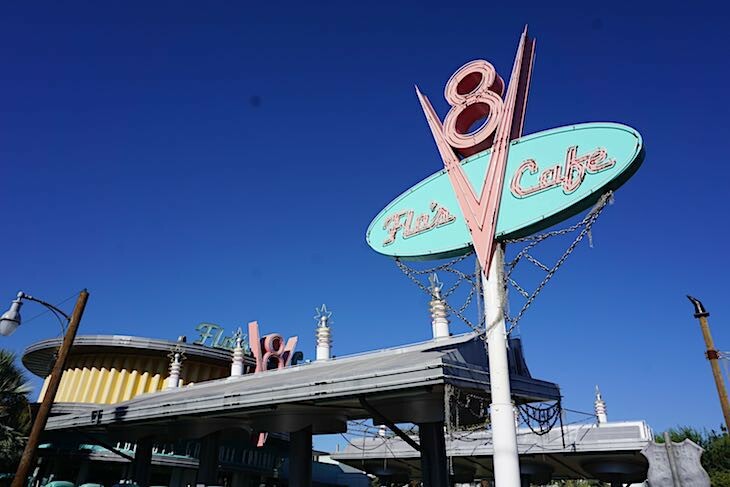 Inspired by the Disney•Pixar movie Cars, the imposing Cadillac Range mountains serve as the backdrop for the neon light-filled town of Radiator Springs. 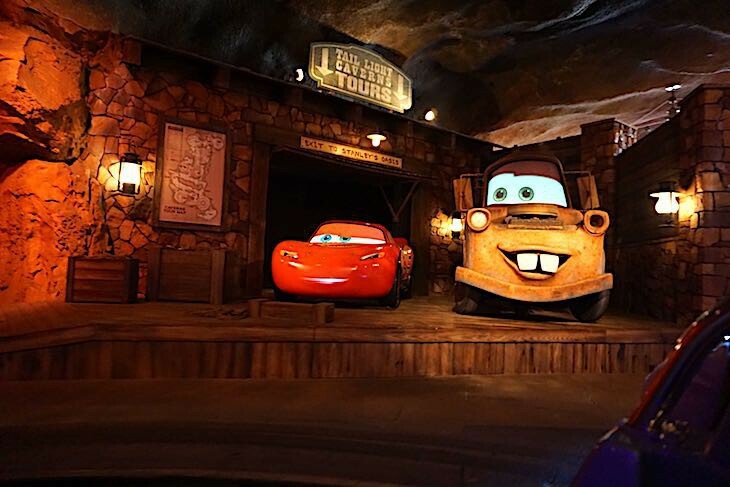 Here you’ll find California Adventure Park’s most popular attraction, Radiator Springs Racers, along with Mater’s Junkyard Jamboree and Luigi’s Rollickin' Roadsters. It's worth the trip here just to see this amazing place! 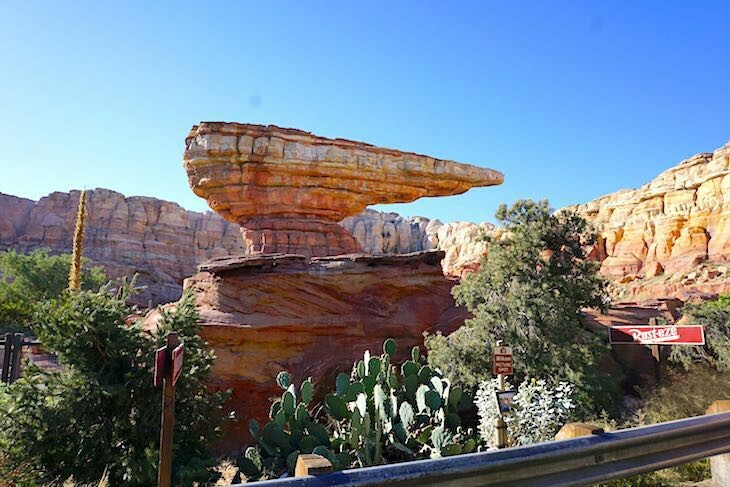 The best road trip around and certainly the most popular ride at Disneyland Resort, this headliner attraction is sure to stay that way for years to come. 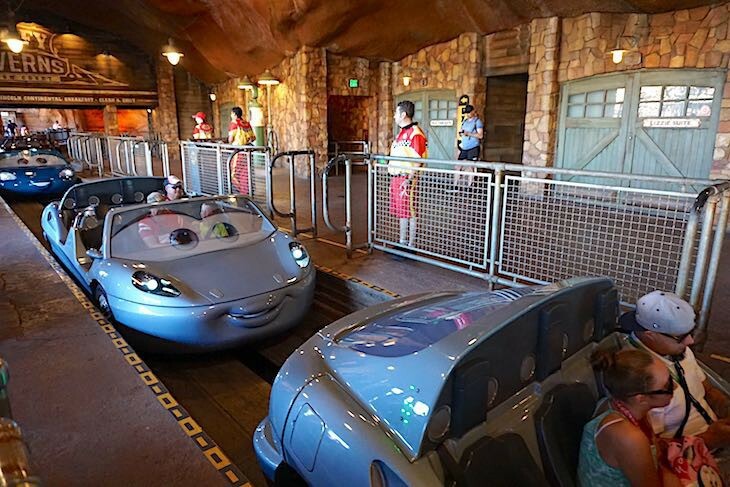 Similar in some ways to Epcot®’s Test Track®, board a 6-passenger convertible complete with a grinning face on the grill and off you go on what seems like a peaceful and serene journey through the stunning Ornament Valley of Cars fame. 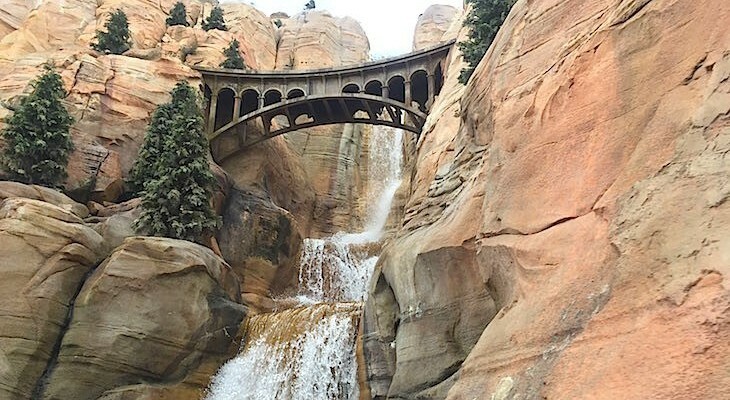 But it’s race day in Radiator Springs, and the peace and quiet abruptly ends just after passing sparkling Radiator Falls when you swerve to avoid Mac. Then it’s a bit of a run-in with the Sheriff who passes you off to Mater who talks you into detouring through the fields for tractor tipping. Several familiar faces (Cars faces that is) cheer you on and offer a few pointers before your final fine tune at either Luigi’s Casa Della Tires or Ramone’s House of Body Art. Then hit the start line and head out on the track for a high speed race with another vehicle as you speed through the red rock formations, around banked curves, and over a few hilarious dips and bumps before ending up where you began, wishing you could do it all over again. Minimum height 40 inches (3 feet, 4 inches). Not recommended for expectant mothers or those with back or neck problems. FASTPASS. Single Rider Line. 4-minute ride. Cara's Tip: This attraction should be your top priority first thing in the morning. 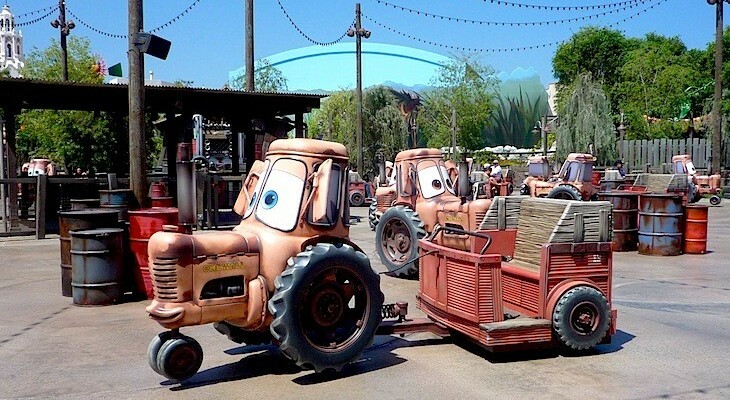 Either head straight to the FASTPASS distribution machines near It’s Tough to be a Bug! or beeline it to the attraction itself. FASTPASSes are sometime gone within the first hour or so after park opening. If you want to save time opt for the Single Rider line, but don’t expect to sit with other members of your party.